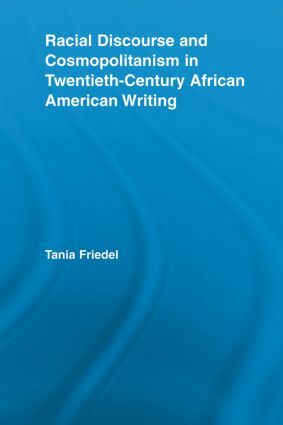 This book engages cosmopolitanism—a critical mode which moves beyond cultural pluralism by simultaneously privileging difference and commonality—in order to examine its particular deployment in the work of several African American writers. Deeply influenced and inspired by W. E. B. Du Bois, the writers closely examined in this study—Jean Toomer, Jessie Fauset, Langston Hughes and Albert Murray—have advanced cosmopolitanism to meet its own theoretical principals in the contested arena of racial discourse while remaining integral figures in a larger tradition of cosmopolitan thought. Rather than become mired in fixed categorical distinctions, their cosmopolitan perspective values the pluralist belief in the distinctiveness of different cultural groups while allowing for the possibility of inter-ethnic subjectivities, intercultural affiliations and change in any given mode of identification. This study advances cosmopolitanism as a useful model for like-minded critics and intellectuals today who struggle with contemporary debates regarding multiculturalism and universalism in a rapidly, yet unevenly, globalizing world.